Winter is rapidly approaching, and with it, temperatures are likely to drop 60 degrees or more from summer. 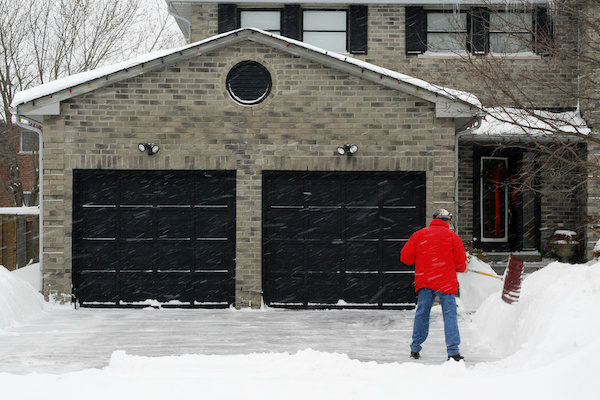 You probably don’t want to be faced with an arctic blast every time you go into your garage this winter. To avoid these frigid temperatures, there are some steps you need to take now. The first thing you want to do when insulating your garage is to check the weather-stripping. Over time, it will become cracked and brittle. This causes air leaks and cold drafts in your garage. If you feel any drafts from broken weather-stripping, you want to remove it. Take all the existing weather-stripping off and scrape away the remaining sealant. This gives you a clean, flat surface to apply your new weather-stripping. Be sure to measure and align it correctly for a strong seal. Insulating your garage creates a protective barrier from the elements. Fiberglass batt insulation is a cheap and efficient option. The thickness you will need will depend on your garage walls. You’ll get an installation guide with your insulation. It’s important to read it through and then follow the instructions to the letter. This way you will ensure the insulation is installed right. Due to its large surface, you still run the risk of losing a lot of heat through a non-insulated door. There are many specialized kits that you can buy. They include many options like foam, reflective barriers, and fiberglass. When you begin insulating, be careful to cut your chosen material to fit. Then, fix them with adhesive to secure them. Depending on budget, there are garage doors on the market that already come with insulated designs. A major source of heat loss is older, single pane windows. Upgrading to double pane can reduce heat loss dramatically. If replacements aren’t in your budget, there are still some basic fixes you can do to make a difference. For example, you can cover your windows in a clear plastic film which will help keep the heat inside. With your garage insulated against the cold, you can make use of a heater to keep the space warm. There are many options, but in cold weather, the best are ones that do not need ventilation. One good choice is a unit heater. Installation is inexpensive and they don’t take up much room. You can choose between gas or electric. For something more energy efficient, you can choose a mini-split heat pump. If you follow these tips for garage heating, you’ll be able to avoid the worst ravages of winter. Your garage’s warmth won’t leak out, and cold air won’t be able to get in. This means your heat source will keep the garage ticking over at a nice temperature all winter. If you are looking to go a step further, check out our selection of overhead garage doors. If you want to upgrade to a safer, more efficient model, then we have the door for you.